Gorgeous Water Front property located on beautiful cove with amazing views of the sunset in the evening. This property boasts 148' of Bulkhead and is 260' deep from street to water. This lot is protected from wind driven wave action on Lake Livingston. 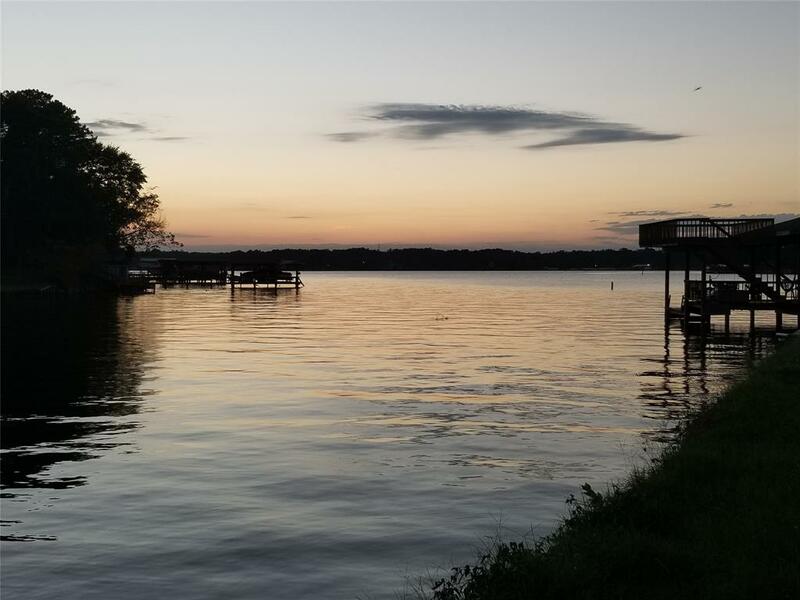 This property boasts more than adequate space for addition of any docks or boat shd without blocking view of the lake from a home built on the lots. This property has "Blanket Variance" which allows for the building of a home within 6' of Waterside (Back) Lot property line. 1,700 sq ft plus home design drawings are available with the purchase. Home was designed to fit on the full size lot, but can be easily expanded into the smaller 1/2 lot. © 2019 Houston Realtors Information Service, Inc. Information is provided exclusively for consumers' personal, non-commercial use, and may not be used for any purpose other than to identify prospective properties consumers may be interested in purchasing. All information provided is deemed reliable but is not guaranteed and should be independently verified. Listing courtesy of Bruno Realty, LLC.